Welcome to our International Project Highlights using current Stampin' Up!® Products. We have all created a gallery of projects for you to be inspired by! We would love it if you could visit every one of our blogs and see more photos of our projects. If you scroll down to the end of this blog post, you can see the gallery of all of our projects. This will be shown on every blog that you click on. 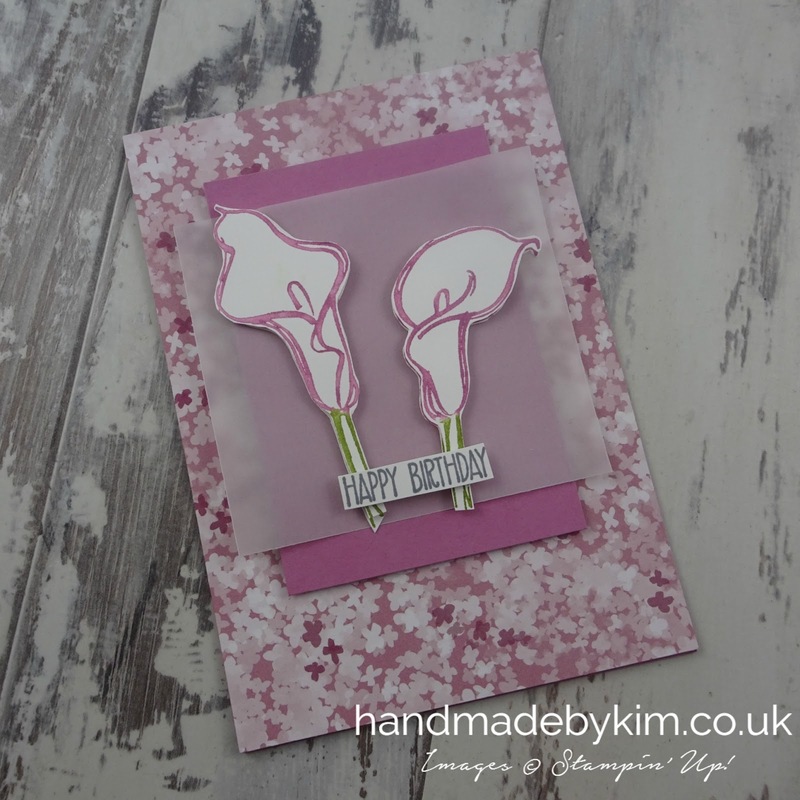 My name is Kim and I live in Somerset in the UK and I have made this birthday card using a sketch by Teneale Williams. 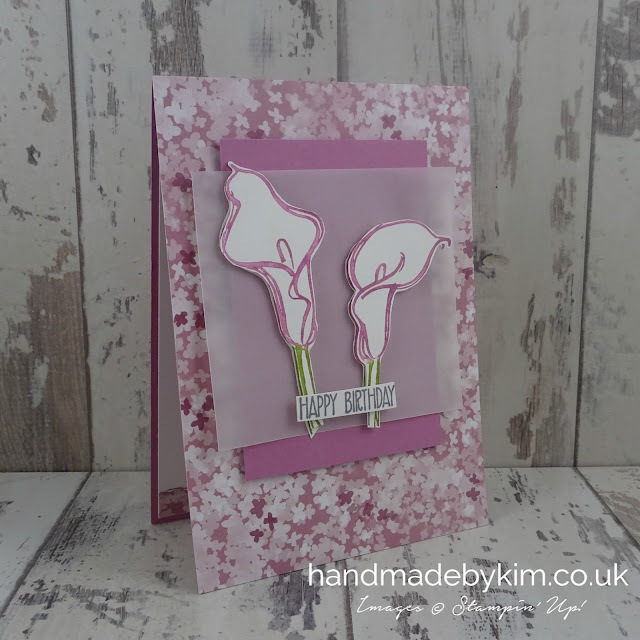 I've used the Blooms and Bliss designer series paper and the lillies from the Remarkable You stamp set. 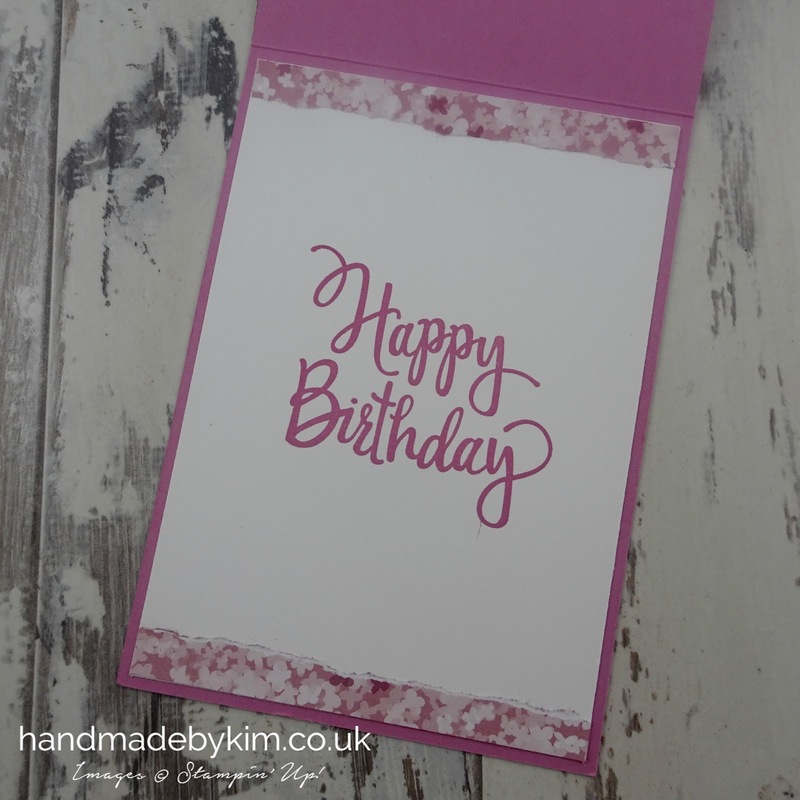 I have stamped Happy Birthday in Sweet Sugarplum ink using the Stylized Birthday stamp for the inside of the card and also added an edge of torn designer series paper to the top and bottom of the Whisper White layer. For the front of the card I have added a layer of designer series paper to fit the entire front of the card. I usually leave a border but I really like how this has come out. I then added a small layer of Sweet Sugarplum cardstock before overlapping a layer of Vellum cardstock. 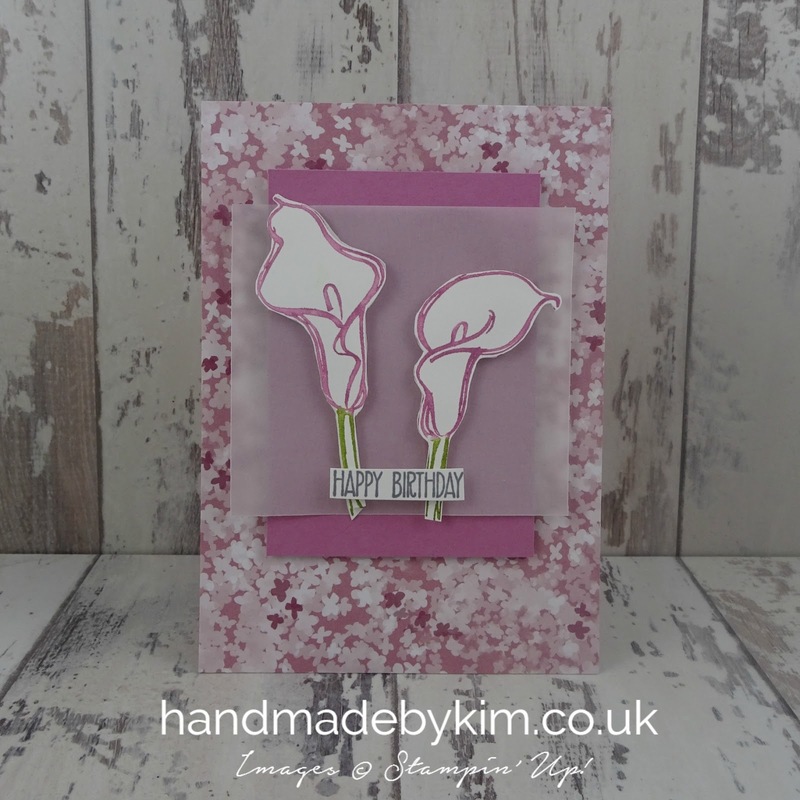 Next I stamped the lillies image onto Whisper White cardstock twice. 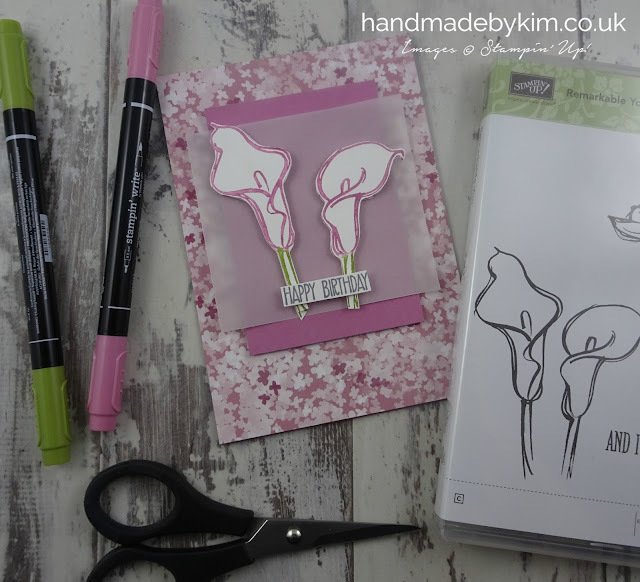 I used Stampin' Write markers to colour in the stamp - Sweet Sugarplum for the outline of the flower and Old Olive for the stem. I cut out the flowers using my Paper Snips (I am really not a fan of fussy cutting but let me tell you, these were a dream to cut out!) I adhered one set of flowers straight onto the vellum and then popped up the second set directly over the top using Stampin' Dimensionals. This really has added some fabulous dimension to the flowers and I am really pleased with this effect. To finish the card I stamped the sentiment Happy Birthday in Basic Gray using a stamp from the Sunshine Sayings stamp set. I cut around the sentiment and used glue dots to adhere it over the top of the stems. You can order everything I've used to make my card from my online shop today. Until the end of the month you can order 3 packs of selected DSP and get one pack 3! Thank you so much for visiting my blog today, there are so many amazing ideas and inspiration you don't want to miss, so make sure you visit the blogs in the list below and let us know you visited our blogs by leaving a comment. We know that you will love our gallery of projects made from Stampin' Up!® Demonstrators around the world! Lovely card - I find your use of the vellum as a background very inspirational. Some of my favourite DSP, and thanks for the reminder that we still have beautiful sets in the annual catalogue to enjoy! Really beautiful card. Thanks for sharing! I feel like this DSP is calling my name now! Lovely card! Beautiful Kim! 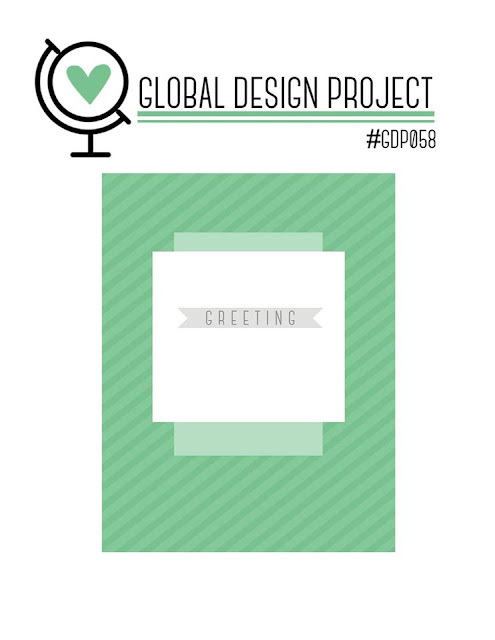 Thanks so much for joining in with this week's Global Design Project and sharing your talents with us!